Every innovation spawns its own set of issues. What happens when you have a lot of a good thing like cloud computing? You might get a Franken-cloud as some vendors are calling it. Basically a Franken-cloud is what happens when you have multiple cloud-based systems that need to share data and run processes in your business. As recently as a few years ago, and there are plenty of legacy situations that fit this description, the same issues would have come from buying multiple best of breed applications and trying to knit them together. Much, if not most, of the overhead in contemporary IT comes from such situations. It started with accounting. Maybe you had accounting software from one of the big vendors to which you added some special processing apps for your business’ vertical. HR or HCM apps operated off the accounting package too but you decided to buy your personnel apps from a specialist company. It was also responsible for supply chain, product lifecycle management (PLM) and other manufacturing systems. If you did consulting, there were specialized time and accounting apps for that operation too and then if you needed incentive compensation management for the sales force, it meant another app. I am just getting started but you get the idea. With every additional app someone had to keep the versions in synch with the rev levels of your operating system(s) and database(s) and you might have had issues with the management tools you needed to run this system but different tools to run that system. We easily forget the complexity of on-premise software when we get to cloud computing because so much of the hardware and OS/DBMS stack is managed by the vendor making it all a wonderful black box for your IT staff. 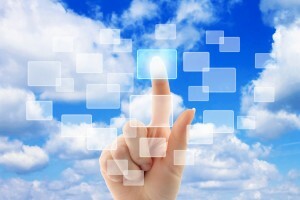 But complexity is beginning to creep into cloud computing too. There are so many cloud apps these days that there’s a thriving business for integrators and integration tools. It also doesn’t help that a provider of hardware, operating system, and database in the sky calls its offering a platform too. These “platforms” give you the same control of the innards of the system that you had when everything was in your data center, but is that good? The software platform changed all that for the better. If two apps are built to the same software platform standards, it’s almost like they were written together and the integration points are much less severe. But cloud apps based on two different platforms brings the bad old days back pretty fast. So, Franken-cloud is what some vendors are calling it when you recreate the kind of Byzantine amalgamation of integration in the cloud that you had when your business was strictly on-premise. But the big difference today is that Franken-cloud is optional; you don’t have to do this to yourself. Avoiding Franken-cloud involves selecting platform first when you go to the market for cloud software and determining to stay true to that platform if at all possible. You might say that vendors have been trying this approach to lock in for a very long time, and you’d have a point. But where old school vendors liked to insist that all of your apps should come directly from their shops, staying true to a platform is simpler. With literally thousands of apps adapted to the standards of one or more platforms, you are free to pull together the best of breed solutions that your business needs. This approach offers the best chance of avoiding all of those integration points because most vendors today have big ecosystems of partners that have written apps to the standards of their platforms rather than simply trying to integrate them with whatever’s popular. Even if two systems have not been integrated before, developing them to the same platform standards makes integration much easier. You might say, well I have a mix of systems, some new cloud apps and others that are legacy systems. That‘s a tough situation but it’s anything but hopeless. Surviving Franken-cloud starts with picking a platform, which means finding one with an ecosystem of partner products that will support your business. Then, as you migrate your technology infrastructure to the cloud, stay within the ecosystem. You can still leverage the platforms’ integration capabilities to keep the legacy systems incorporated but over time the objective should be to simplify through leveraging the platform. Franken-cloud is a manifestation of two things—new cloud technology and old style picking a vendor and figuring out integration later. Thinking about integration first, especially with the plethora of platform solutions available today, will ease the problem and make your business more agile because you’ll be able to change configurations to meet new demands easier. Zach Nelson, CEO of NetSuite, was talking about CRM a lot in his recent keynote for SuiteWorld, his company’s user meeting that was held in San Jose last week. You might not think that’s unusual given that the company has a whole suite of cloud-based ERP-CRM-eCommerce, but it represents a departure and one that I don’t even know Nelson is fully aware of. 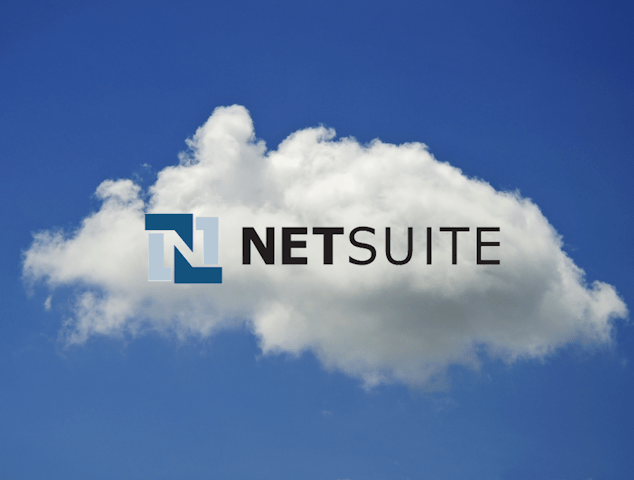 NetSuite built its reputation and a half billion dollar business around the idea of front to back office integrated systems delivered through the cloud, and Nelson is the first one to say that integrated is a poor word choice since the two major components are built on the same code base and data. They were never separate so how can they be integrated? Nevertheless, the company has always made its money on its ERP system, which is comprehensive and a serious competitor in the space. So it was interesting to me to hear so much discussion about customer orientation and the importance of customer experience — things that are common in a CRM discussion but medium rare in ERP. The primary link between front and back office for NetSuite has always been eCommerce for the obvious reason that it exposes a company’s back office directly to the customer. My friend Esteban Kolsky last year debated Nelson on his assertion that ERP was the “real” CRM because it contained information about customers. Nelson’s assertion sounded hyperbolic to me and I said so in a post at the time. But this year’s assertion was different. It was more nuanced and brought in not just customer data but also customer experience and all the other soft-benefit words in vogue, hence my surprise. It is important when an ERP vendor, or a vendor fundamentally exposed to the ERP business, decides to take on the language of the front office because, for me, it signals an interest in adopting a more process-oriented view of customer facing business than is typical of ERP. This is big in my mind because it says ERP might at last be getting in line with CRM on the customer focus level which is, I think, necessary for the overall success of the front to back office integration. Let’s face it, it’s really, really hard to organize the front office for a marketing process, a sales process, a service process, and still have the back office doling out data a la transaction. One place where this all synchs up is at subscription billing. We may have traditionally thought of billing as a transaction par excellence, but in the subscription era, it has become a system of engagement, a place where customers converge on a vendor for much more than correct invoices. In subscriptions, vendors lose some amount of direct customer contact and the billing process can be an important source of customer uptake and use data and it can be one of those touch points that best informs customer service. The important part of billing is that it can replace some of the contact lost in other forms of communication. It was no surprise therefore, that NetSuite introduced an enhanced version of its subscription billing solution at the show. That’s all good news in this regard. But as things go, NetSuite seems to be still trying to get its customer-centric messaging right, in my opinion. For example, they still refer to transactions and systems of record when they more appropriately mean processes and systems of engagement. If you’re going to start talking about customer-centricity there’s no halfway point, you need to show that you are in it, that you get it. Such is the situation many vendors find themselves in when changing models, even slightly and NetSuite should be applauded for its move to engagement, so I am not complaining. But the move needs to be made quickly and crisply. We live in a subscription economy today, for sure, but more important is the fact that the economy has spawned a subscription culture in which even if you aren’t actively selling subscriptions, your customers are expecting subscription class relationships. These relationships are more intimate, solicitous, and above all data capturing and analytic. An ERP system that gets this is going to be one that injects its back office data more freely into front office processes to better inform them about customer needs. NetSuite isn’t all the way there yet, but they are the ERP vendor that has perhaps gone furthest in making the connection and for that alone, it was good to be at the keynote because it provided a tantalizing insight into the future. What’s going on in the back office? That normally staid bastion of conventional computing is perking up taking on subscriptions and cloud computing like candy. It used to be that when you thought about back office and cloud in the same thought you also thought about NetSuite. Truthfully you still do, they’ve been at it a long time and have produced a solid and well articulated suite of back office ERP, finance, and accounting software (and more) that runs a lot of companies, especially the international variety that keep books in multiple languages and currencies. But over the last ten days other companies have announced partnerships and solutions that both challenge NetSuite’s position and point to an important new era in computing. The new era has been percolating through all of this century. Ever since Salesforce starting selling “no software,” cloud computing and subscriptions have been stealing a march on conventional, expensive, and bloated on premise software. Each year these solutions became more powerful and ubiquitous. First they supported other subscription companies, then all sorts of companies, and now, with the advent of the platform, cloud computing has come to the development suite and the back office. The back office! Ten years ago the mantra was “Not with my data!” but something happened. Certifications sprouted and cloud became normal and safe and with Salesforce’s leadership, kind of cool. On the back office side, NetSuite carried a similar message to the point that today cloud and accounting are no longer words that, when spoken together, sufficient to punch your ticket to a long rest in a rubber room. The last week has seen a breakout of sorts for subscriptions, cloud, accounting, ERP, and platform computing. Zuora and Intacct announced a widening partnership that will deliver Zuora’s subscription billing, payments, accounting, and financial management solutions to Intacct’s 7300+ cloud accounting customers. Be aware that cloud and subscription are not the same. Intacct has been successfully delivering cloud based accounting services and giving NetSuite its fair share of competition for many years. The addition of subscription power from Zuora raises the bar to enable Intacct’s conventional customers with subscription aspirations to support what can best be called hybrid business models. At the same time, the announcement also shines a light on Salesforce’s platform strategy. Zuora is a native application on Force.com and Intacct has developed powerful integration with the platform in general and the joint announcement says they’ll double down on that integration. For Zuora it means 7300 new prospects, for Intacct it means a major capability upgrade without breaking a sweat. But we’re not done. Also today, FinancialForce, a native accounting system on the Force.com platform just announced their entry into the ERP market with FinancialForce ERP. As a native application on the Force.com platform, FinancialForce has completed the circle of front to back office solutions that began with Salesforce. With all of the available solutions, a company of any size or complexity can now support all of its enterprise IT in the cloud and via subscriptions. I think the biggest news in all this is what will happen to conventional IT in the years ahead. Pessimists say that IT will wither as significant chunks of functionality decamp for the cloud but I disagree. IT has always been a major component of a company’s secret sauce. If garden-variety accounting systems, even those that support subscriptions, can be off-loaded to the cloud that’s fine. As more enterprise solutions head for the clouds and budget ratios turn from capital expenses to operational, we should see a renaissance of in-house application development which will, importantly, drive new business processes, especially in mobile apps that will help users do more and better business and do it faster. That’s where the secret sauce is and will remain for the foreseeable future. Time to embrace it. These foundational changes come at an opportune time as prognosticators think about what it will mean to have 50 billion devices hanging off the Internet in 2020. Devices will increasingly be non-human consumers of goods and services (especially for restocking) and producers of data and information. Their transactions will take fractions of a second, be automatic, and require the attention of the infrastructure we are building now with cloud and subscriptions. So the significance of these announcements together with things that have been coming out in the last year all point to an important milestone. Conventional applications managed data but the new stuff with platforms, front and back office integration, workflow, and social media all point to building and managing better business processes. I think we’re close to the end of a long wave of technology invention and at the beginning of an era of its consolidation and application. There are two questions that emerging companies in the CRM space field when they face the analysts — when are you going public and why don’t you build out a full CRM capability? The first question is easily and deftly handled by most executives and it must be. An IPO has its own cadence and the Securities and Exchange Commission is very keen to protect its turf even in an age when congress keeps tight control on regulators’ budgets. It takes almost no effort to fine an over exuberant executive for making statements about things that are not in the official filing or during the quiet period. So, smart executives stay very far away from those questions. The second question is, or at least can be, a quagmire. There are many marketing software vendors who have necessarily built functionality that spills out of the pure marketing definition and that’s enough to keep some people wondering. A customer database is a good starting point. The argument goes like this: you already have a customer DB so how hard can it be to blow out another wall and add sales functionality and then, Voila! CRM. That logic misses the point by a country mile and a decent customer service function, yet it doesn’t go away. But there’s more to it than even raw functionality. Why would any sane CEO of a fast growing marketing automation company decide to blow the budget and slow growth to build out sales and service in a market where the CRM niche is rather full? My advice goes like this. Don’t do it. Don’t build CRM, there is absolutely no reason for anybody to build another CRM system. The niche is covered so move on. Take as an example the last decade-full of successful software vendors. Siebel didn’t build ERP and the reasons are the same. ERP was full, it was better for Siebel to focus on building out its CRM functionality and that’s what it did. Late in the game, before the acquisition, the company was working on master data management and making its client server solutions at home on the web. Siebel didn’t build ERP though many people asked why not, because the company was looking for the next big thing not the last. Siebel got acquired and its independent plans were sidelined. But look at Salesforce and you see a similar pattern. Financial Force, Intacct, Zuora and many other companies sprung up to provide financial functionality to the fast selling CRM but Salesforce CEO, Marc Benioff, has been adamant about not pursuing ERP. He’s focused on building out a new interpretation of the front office that’s social, mobile, and customer experience focused. That’s called a Blue Ocean Strategy and I have written about it before. The rest of the big players — SAP, Oracle, Microsoft — all have pretty good CRM and they all trail Salesforce according to Gartner’s recent rankings. Generally, while their products are good, they trail Salesforce by about a generation when it comes to leading edge front office ideas like collaboration, customer journey, and the like. They aren’t innovating so much as trying to be fast followers. I think any marketing automation company that tries to build out CRM functionality would also be a fast follower. They’d trade in what they’re very good at to regress to the mean, the middle of the pack. Instead, here’s a question that they could profitably answer. How are economic and demographic changes affecting how people and companies buy and how does marketing fit into that changed environment? People and companies have become comfortable and adept at shopping online and making decisions without the assistance of traditional sales people. At a minimum this suggests a winnowing role for traditional SFA. But it also suggests a rising opportunity for marketing automation defined as nurturing customers on their buying journeys. It also suggests an expanding role for the call center, which might get smaller in the next decade while changing at least part of its mission. I don’t think today’s marketing automation has yet tapped all the possibilities inherent in that one observation, nor do I think that the incumbent CRM vendors have embraced the idea. So, when I hear talk about new companies entering the CRM market, I cringe. CRM is robust and thriving but it is also consolidating. There won’t be five major CRM vendors ten years form now. The availability of good, fast, standards-based integration is high and products are getting better all the time. The next move in the front office is best of breed, not tightly integrated solution sets. The front office platform might be stabilizing but the apps that play on it continues to expand and they work increasingly well together. The move for fast growing companies in the front office is in furthering the embrace of the customer through advanced tools and techniques that include social media and inbound marketing. No traditional ERP for sure and no CRM either and that’s becoming increasingly obvious.